In the world of recruiting, there are some things that never change: timeliness is imperative, technology is almost always the answer, and everything (within reason) should serve to create a better experience for the driver. This super practical guide outlines some ways your team can truly reform your recruiting process from a driver’s perspective to increase applicants and make a clear impact on your company’s bottom line. Stick to the must-know facts. Create a mobile-optimized application that can be completed on a mobile device. Leverage text and video calls instead of just traditional phone calls. Be transparent about your culture and turnover history. Save and compile applicant answers from step to step. Ready to learn more? 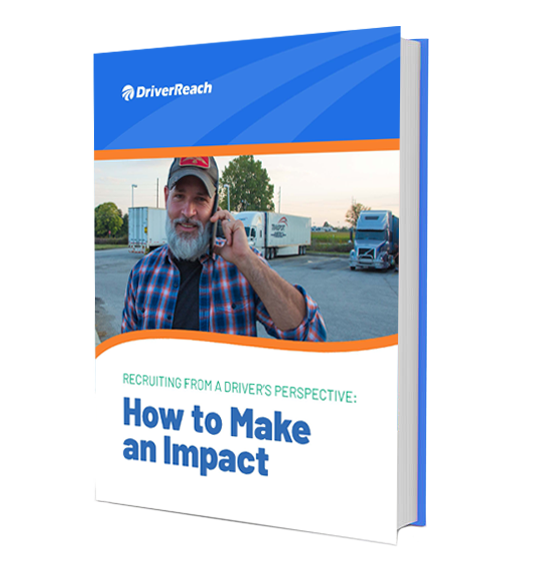 Download your free guide and learn how your company can create a better experience for your applicants by recruiting CDL drivers from their perspective!